Raising money for meningitis research. 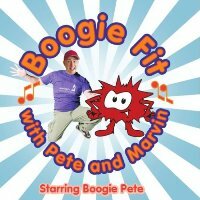 ‘Boogie Fit with Pete and Marvin’ is a new DVD for kids that not only keeps them active but helps to raise money for the Meningitis Research Foundation. The £8 DVD stars CBeebies’ Boogie Pete and the MRF’s mascot Marvin the friendly monster, and features six catchy new songs and simple dance routines designed specially to appeal to preschool children. The DVD can be bought from www.meningitis.org/boogiefit. Its really a nice step to raise money for the Meningitis Research Foundation.